Heat oven to 350°F (325°F for dark or nonstick pan). Grease bottom and sides of 8x4- or 9x5-inch loaf pan with shortening or spray with cooking spray; lightly flour. In medium bowl, mix flour, 3/4 cup sugar, the baking powder and salt; set aside. In another medium bowl, stir egg, buttermilk, oil, lime peel and 1 tablespoon of the lime juice with spoon until well blended. Add buttermilk mixture to flour mixture and stir just until moistened (some lumps will remain). Spread in pan. Bake 50 to 60 minutes or until golden brown and toothpick inserted in center comes out clean. Meanwhile, in small bowl, mix remaining 2 tablespoons lime juice and 1 tablespoon sugar. Brush lime juice mixture over top of warm bread. Cool in pan on cooling rack 10 minutes; remove bread from pan to cooling rack. Cool completely, about 1 hour. When completely cool, wrap in plastic wrap. Bread is best served the next day. 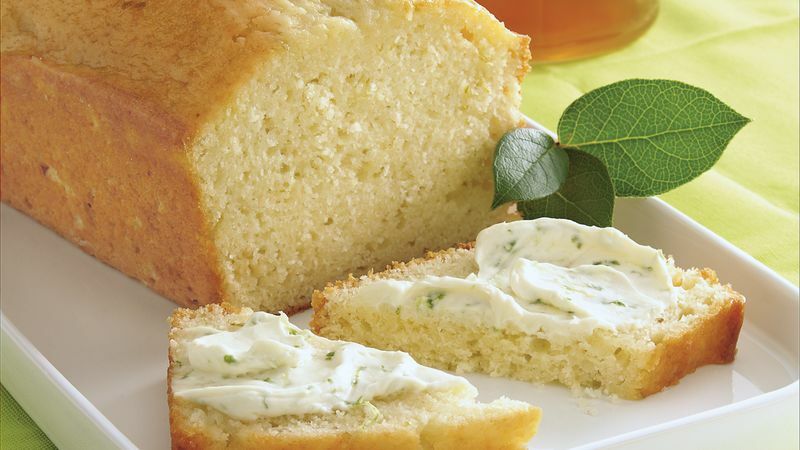 For a tasty spread, stir a tablespoon of sugar and a teaspoon of grated lime peel into a tub of spreadable cream cheese.